Note: To use the Subscriber Services Dashboard you have to create an account there and link your subscription to your account, then you can manage your subscription online. (Even if we have your email address on file, you need to create an online account to set up this service.) Once you’ve created your online account and linked it to your subscription, you’ll have access to your order and customer service e-mail history. Renewals and address changes can all be updated right here, too. Customer service can help you if you have any problems setting this up. • What are the customer service contacts? 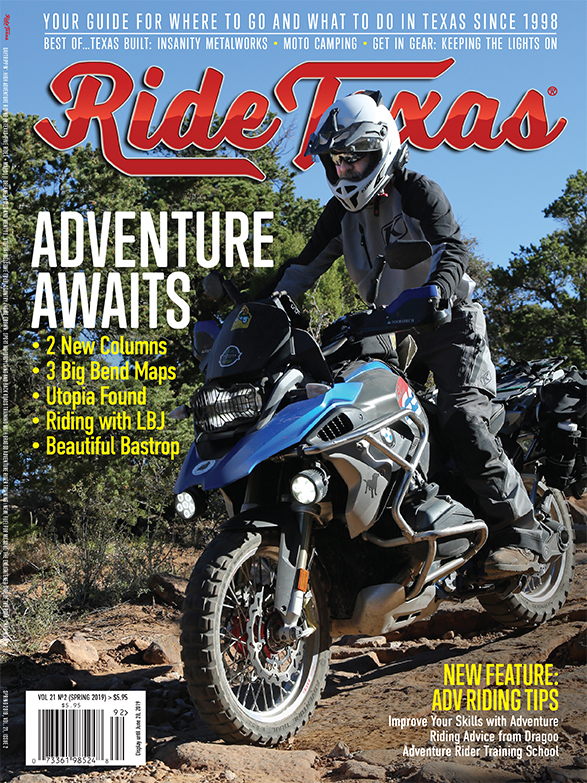 • How do I subscribe to RIDE TEXAS®? • How do I set up a gift subscription? • What is the publishing schedule? • When does my subscription end? • How do I renew my subscription? • Will my credit card transaction be safe? • My RT never arrived or started arriving, then stopped. Please help. • May I cancel an order? •Is there a digital edition to RIDE TEXAS? How do I subscribe to RIDE TEXAS®? 1. ONLINE: Online ordering here. How do I order a gift subscription?1. ONLINE: Online ordering here. 2. PHONE: Call customer service at (800) 829-5538. We will mail the recipient a gift card to announce your gift. Renewals for the gift subscription will be sent to you unless you specify otherwise. What is the publishing schedule? PRINT edition subscribers copies mail on these dates (USPS may take 5-21 days to deliver). When does my subscription begin/end? Subscribers may have as much as a six week wait for their first edition. If you think it’s been too long, please call customer support at (800) 829-5538, or check our online subscriber services here to verify your order was received and the address is correct. 2. EMAIL: Include “CHANGE OF ADDRESS” in the subject line and your full name the old and new addresses in an e-mail to ridetexas@emailcustomersupport.com, or use the contact form here. Please include the same information as you would in an e-mail. 2. ONLINE: If you’d like to renew online, it’s easy to setup an online account linked to your subscription here. 3. PHONE: Call our customer service at (800) 829-5538. We do not rent or make our subscriber lists public to any third parties. We may, on occasion, mail special offers or announcements to subscribers. This applies to PRINT edition subscribers. We don’t SPAM. We use a secure socket server and the encrypted order goes directly to our subscription processing department, which is certified PCI-DSS Compliant by Trustwave. The padlock indicating a secure site will be displayed when you access our order page. My edition never started, or started and then stopped. Please contact customer service at (800) 829-5538 when this happens. It may be we have an incorrect address for you or the address you provided is considered “undeliverable.” Note for PRINT edition subscribers: If you submit a USPS forwarding order, the USPS will typically forward one edition and then start returning them to the sender (us). We have no way to contact subscribers when this happens because the subscriber is at a new address that we do not have. If you think you’ve missed an edition, please call customer service and verify your address. We will replace a missing edition, no problem. Yes. Please call our customer service at the number above. For any reason you need to discontinue or cancel your subscription, you will be refunded the unused portion of your paid subscription. Please call customer service. Is there a digital edition to RIDE TEXAS? No. We currently do not have a digital edition.